One of the true greats of New Orleans R&B turns his hand to jazz standards for this new album, the legendary songwriter and hitmaker deferring to compositions by the likes of Duke Ellington, Django Reinhardt, Thelonious Monk and Jelly Roll Morton. Toussaint takes to the piano (committing a vocal on just one track: Leonard Feather's 'Long, Long Journey') alongside a band of notable session players including clarinetist Don Byron, neo-bop trumpeter Nicholas Payton and regular John Zorn/Tom Waits guitarist Marc Ribot. The quality of musicianship is predictably stellar throughout, and the band members' interplay with one another exudes confidence and camaraderie. 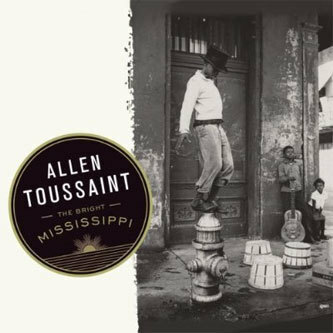 Further to that Joe Henry's production could hardly be better, laying out the instruments with precision, clarity and an old-fashioned warmth that's perfectly in tune with both the music and Toussaint's character.